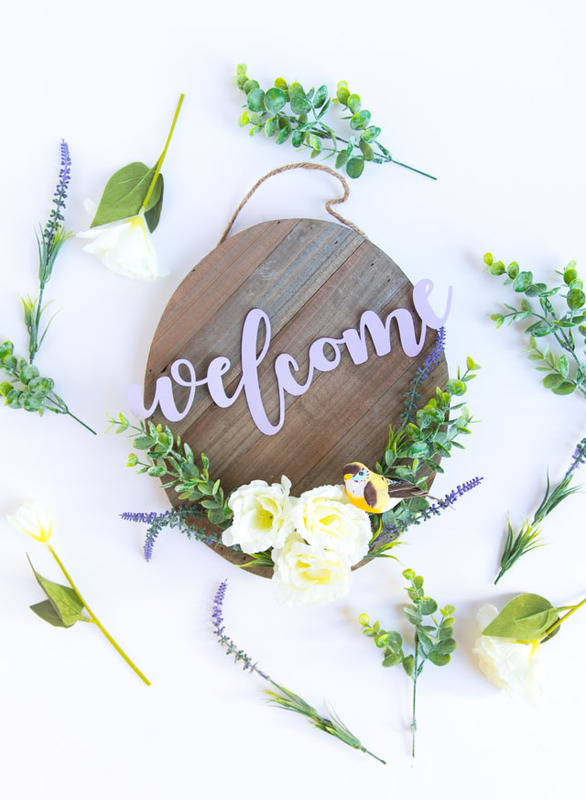 It’s been awhile since I’ve made a new wreath – and this floral Easter egg wreath I created for Oriental Trading is a good one! 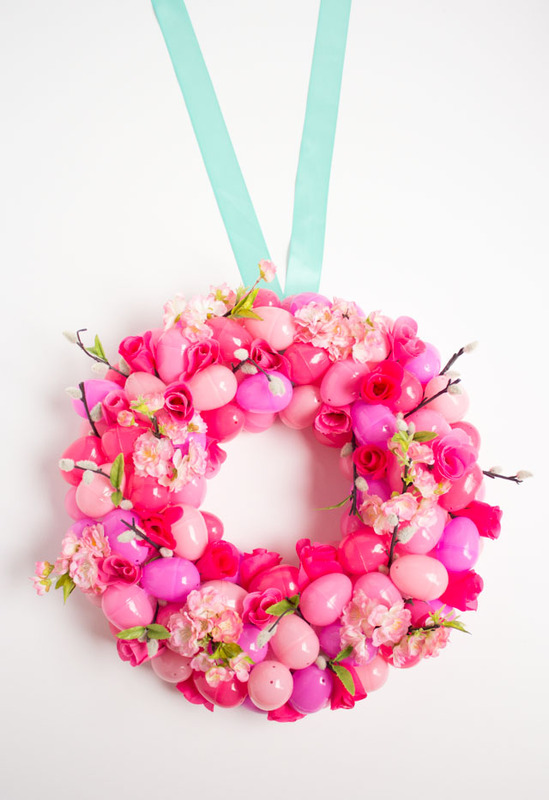 Wreaths are hands down one of my favorite things to make for a holiday, and I love how this one transforms the humble plastic Easter egg! 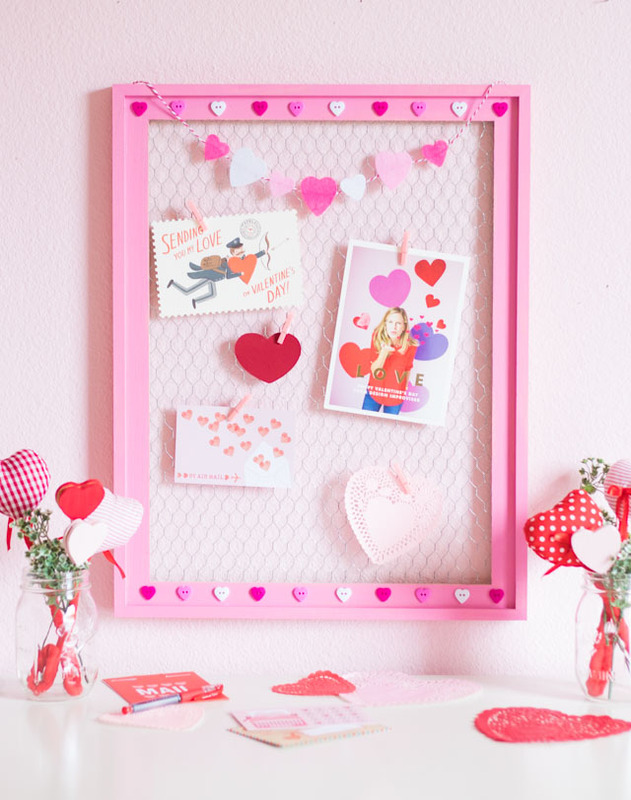 I chose an ombre pink color palette and the addition of some spring blooms to give it a modern, sophisticated touch. What do you think? 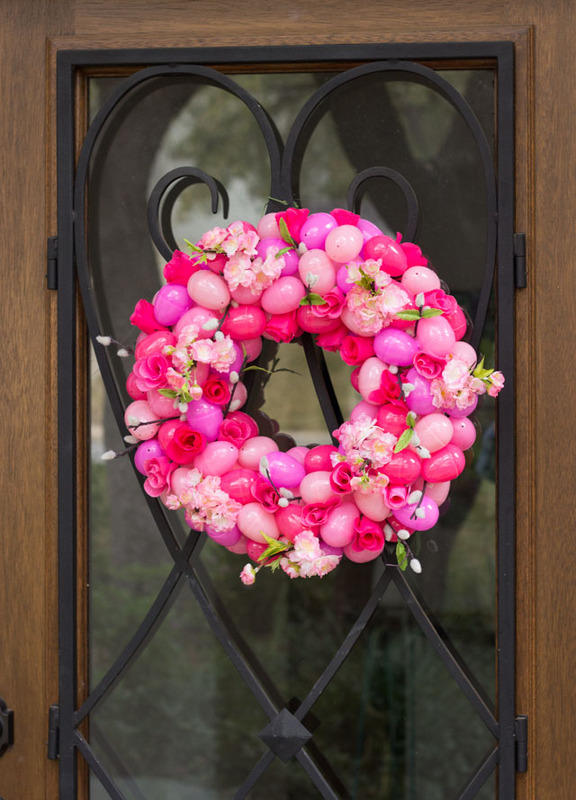 If you’re looking for spring wreath ideas, I hope you give this one a try. 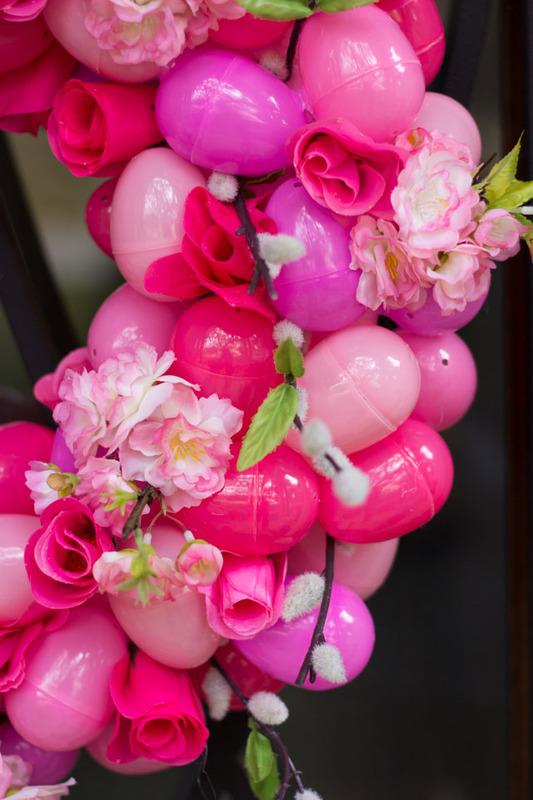 It is as simple as hot gluing on plastic eggs and filling in the gaps with artificial flowers. 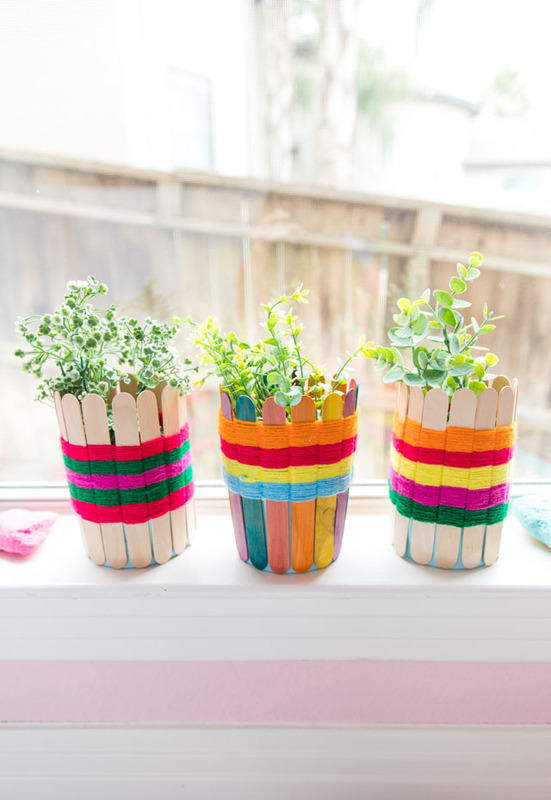 Oriental Trading has packs of ombre eggs that are perfect for this. I used pink eggs, but they have them in other colors too! I love the beautiful pop of color it adds to our front door! 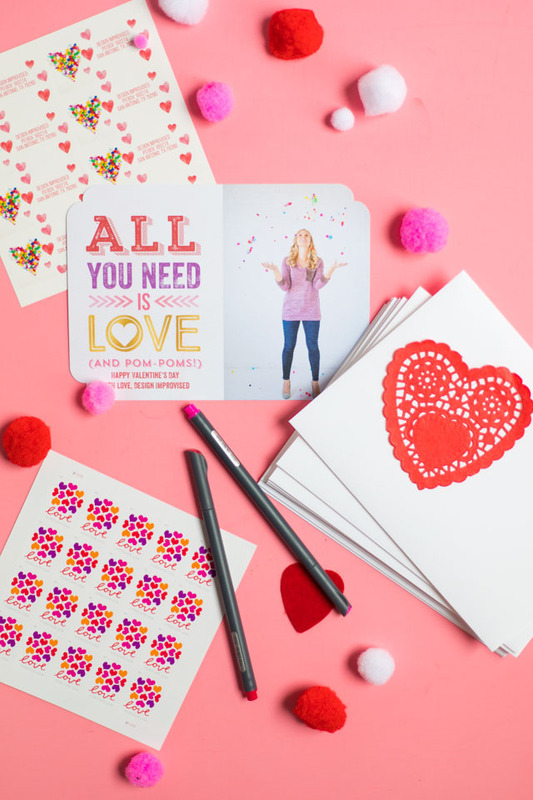 Head to Oriental Trading for the full list of supplies and the step-by-step tutorial!